WARRANTY!!! 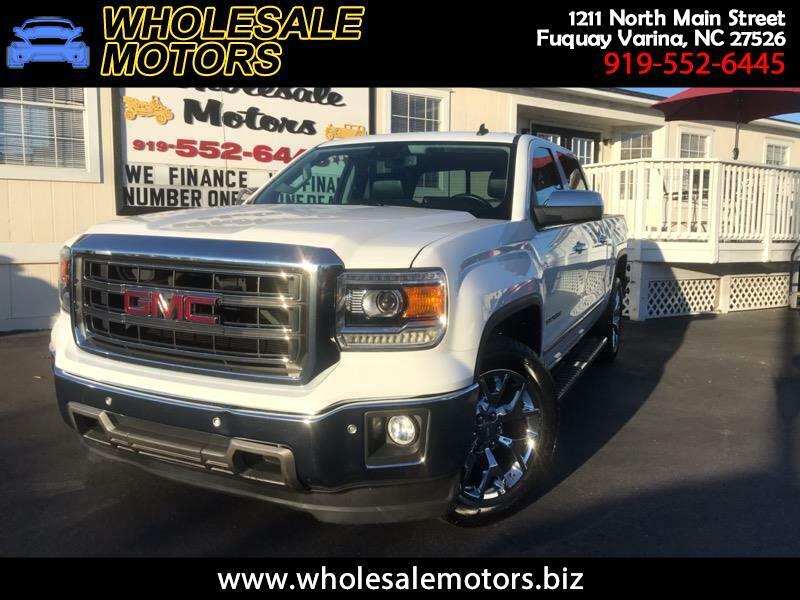 CLEAN CARFAX/ 2014 GMC SIERRA SLT CREW CAB 2WD/ 5.3 LITER 8 CYLINDER ENGINE/ AUTOMATIC TRANSMISSION/ FULLY SERVICED/ 120 POINT INSPECTION/ AM/FM RADIO/ BLUETOOTH/ NAVIGATION/ HEATED LEATHER SEATS/ BACK UP CAMERA/ MEMORY SEATS/ CRUISE CONTROL/ POWER WINDOWS/ POWER LOCKS/ POWER MIRRORS/ WE FINANCE!!!! Warranty Description: PROGUARD LIMITED 30 DAY OR 1,000 MILE POWER TRAIN WARRANTY.